The Art Directors Club of Denver threw a holiday party with a twist—an Ornament Auction. Members were invited to create an ornament to donate for silent auction, with proceeds benefiting DAVA. 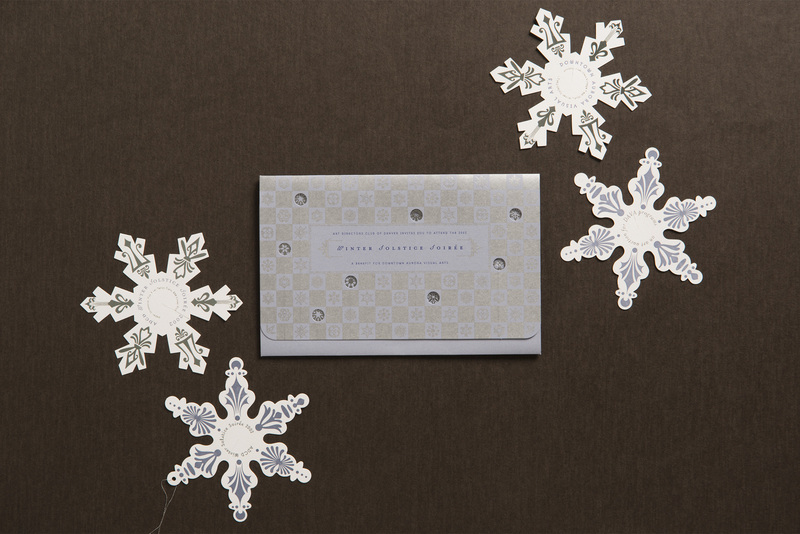 Using a winter solstice theme, we crafted an invitation containing parts of a dimensional snowflake to be assembled at their desks, giving them a taste of the fun to be had. 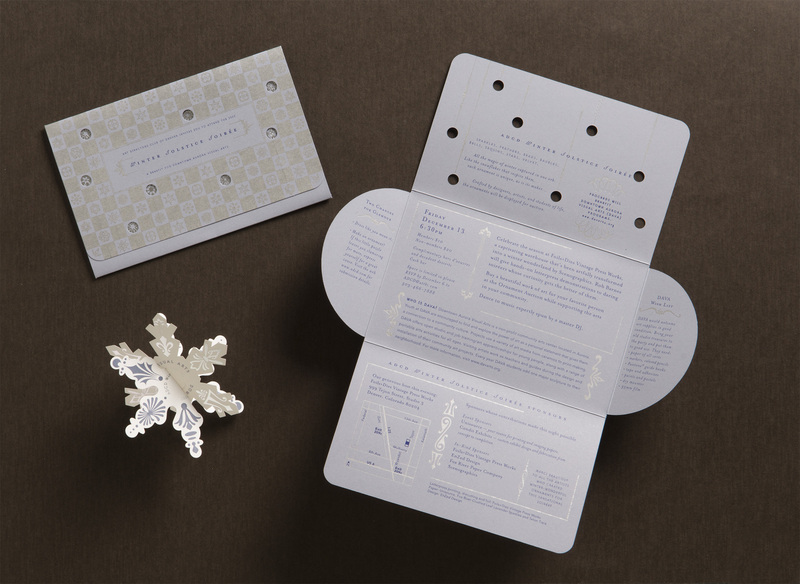 The snowflakes and self-mailing container were letterpress printed, foil stamped, and die cut. The special techniques caught their attention and set the tone for a festive evening. Visit the ACDC and DAVA websites.